Communicate via email and text messaging. Send emails and text messages to your segmented groups. Trigger responses and notifications based on the actions your audience take. Use email and text together to communicate in any situation. Use keywords to auto-reply a message or a link to owned digital properties. Send emails that carry your brand look and feel. 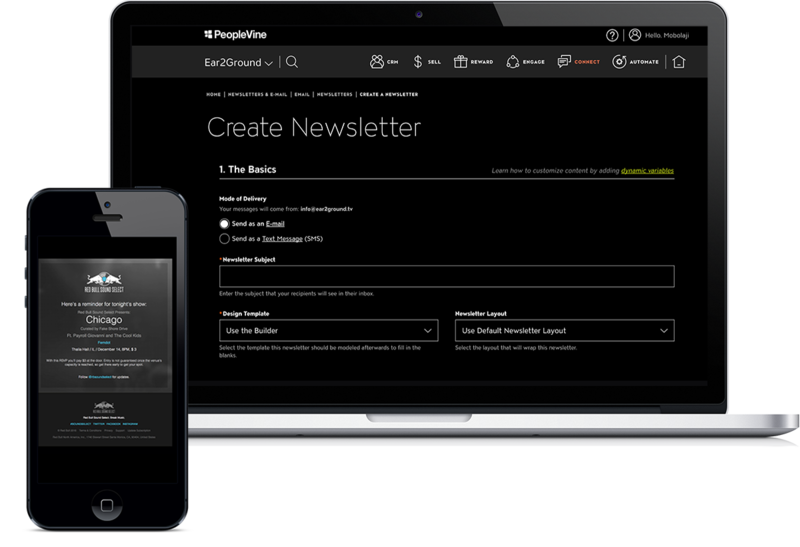 Use our email builder to create dynamic newsletters.